In the United States, most people celebrate New Year’s Eve at parties with their loved ones, where they count down when the ball drops and eat lots of delicious food. However, not all countries share the same New Year’s Eve traditions as we do. In fact, New Year’s Eve in Mexico is a very different scene than it is here in the States. Where cheese and sausage plates are the norm here in America, Mexico has its own unique food traditions. For example, there’s the Mexican pan dulce that’s typically served just before midnight. When the cake is baked, the baker randomly inserts a lucky coin into the batter. The person who ends up with the coin in his or her cake slice is said to be the person with the most luck in the new year. Some other traditional food and drinks you’ll often find on New Year’s Eve in Mexico include ponche (a fruit punch with rum), egg nog, and tamales. In Mexico, the colors red and yellow are said to symbolize love and financial prosperity, respectively. On New Year’s Eve, then, many superstitious people will wear either red or yellow underwear in order to bring good luck upon themselves in those areas next year. There are all kinds of fun games that are often played at New Year’s Eve parties across Mexico. For starters, there’s the piñata, which is customarily stuffed with candies for children to break into. Some will also play a game where everybody takes a piece of paper and writes down a list of the best and worst things that happened to them in the past year. At midnight, everybody throws their lists into a fire, which is meant to symbolize a new beginning and the removal of negative energy. 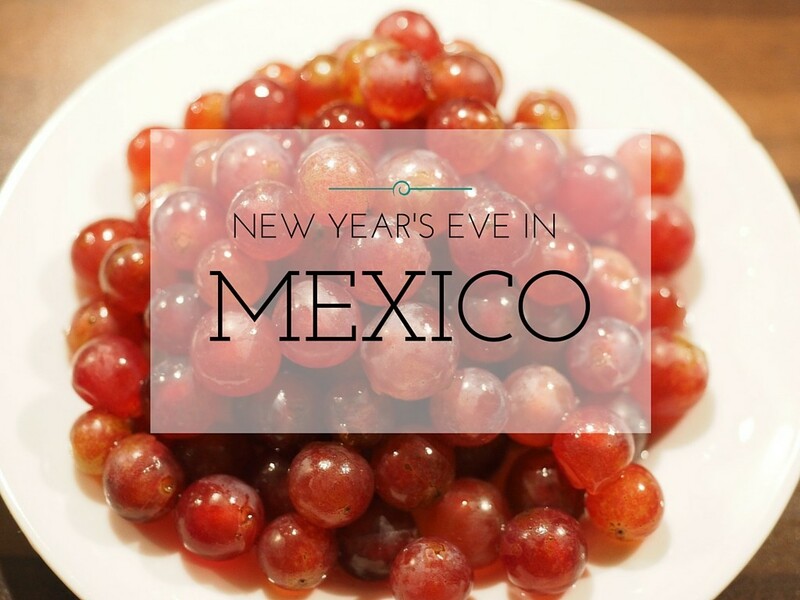 There are a lot of superstitions held on New Year’s Eve and New Year’s Day in Mexico. In addition to the colored underwear superstition mentioned above, many people also celebrate the new year by eating 12 grapes—one for each second after the new year begins. Each grape is believed to bring good luck for one month into the new year. Aside from these unique traditions and rituals, it should be noted that New Year’s Eve is not as widely celebrated in Mexico as it tends to be in the United States. Rather than throwing large parties and gatherings, most families stay home and ring in the new year together. Of course, this doesn’t apply to everybody in Mexico. Some restaurants and other businesses will host larger gatherings, and some cities have dedicated street festivals to celebrate the new year as well. These are just a few of the interesting and unique ways in which Mexico tends to celebrate the closing of one year and the beginning of a new one. If you ever get a chance to spend a New Year’s Eve in Mexico, you should certainly take advantage of it and partake in some of these traditions!